Healthcare apps are slowly becoming an integral part of care delivery. According to the Mobile Health 2012 report, 53% of US adults own smartphones. Half of which use their devices to get health information and, approximately, one fifth have health apps on their devices. Modern innovations in mobile healthcare technology offer significant opportunities to improve access to care, reduce costs, and improve clinical outcomes. 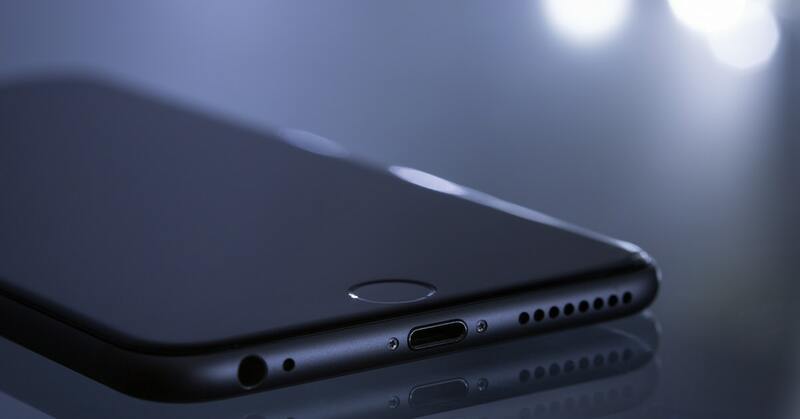 The use of smartphones will soon be ubiquitous in clinical environments. This technology offers the potential to improve clinical communications, enhance learning, and improve patient care – Angarita et al. Mobile health is beginning to change the way healthcare is delivered and received. By improving efficiency and providing convenient access to healthcare through virtual clinic visits, mobile apps not only have the potential to improve access to care but to also lower costs, improve outcomes, and increase patient satisfaction. Mobile apps can empower patients to be actively involved in every stage of their health care journey. This in turn significantly improves patient engagement and the patient experience, encourages consumers to be in control of their own health. Better data quality means better health decisions and better patient outcomes. The potential to collect physiological data, contextual data (situation, preferences, and emotions), and usage data in mobile apps can be leveraged to provide useful insights and recommendations for new workflow efficiencies. Mobile apps have the ability to tailor health content according to the patients, or healthcare provider’s, mobile history and current behaviour. These personalised mobile experiences help deliver highly relevant information at the right time, based on user preferences. This in turn engages and empowers the end user when they need it most. Mobile healthcare apps are being developed with the aim of benefiting both patients and their physicians. The current methods that are used to communicate with patients are highly variable and often antiquated. For this reason, there is a continued focus on improving communication between doctors and patients as a means of improving patient care. Mobile health technology is opening up new lines of communication which, in turn, is improving outcomes, streamlining care processes, and enhancing the patient experience. Within the healthcare community, surgeons and their patients are uniquely poised to benefit from the integration of digital media into the patient experience – Gordon et al. Gordon et al. found that smartphone-based communication between healthcare providers, their patients, and their patients’ designees, greatly improves satisfaction with the perioperative experience. In fact, all types of users, including healthcare professionals, recorded high levels of satisfaction when a mobile communication platform was implemented (Gordon et al.). The use of digital media in the physician-patient relationship not only improves satisfaction but also improves access to care, care quality, and saves time (Gordon et al.). It can be done simply, with minimal cost, and can have far-reaching effects in streamlining patient care, improving patient satisfaction with that care, and improving medical and surgical outcomes – Gordon et al. The use of mobile apps for care-related communications is perceived by healthcare providers to significantly improve their productivity and to reduce the time spent trying to communicate. Gordon et al. found that physicians reported improved overall productivity with new digital communications systems. According to Codyre, medical professionals have also found mobile technology to enhance their decision-making process and reduce medical errors. Approximately 79% of respondents are more likely to select a provider who allows them to conduct healthcare interactions online or on a mobile device (Medical Economics). Ultimately, the real benefit of mobile healthcare apps lies in the delivery of higher quality care. Not only this, mobile healthcare apps are proving to be a sure winner in patient satisfaction which can significantly influence bottom-line results for healthcare providers. Many mobile apps are developed for healthcare workers, including physicians, nurses, assistants and administrators. These apps are generally more sophisticated, with medical terminology and functions. The adoption of mobile apps by healthcare professionals provides an opportunity to improve clinical communication and access to information systems and clinical tools at the point of care. This accessibility of real-time clinical information at the point of care is crucial for delivering high-quality care. According to Mosa et al., drug reference apps, digital medical textbooks and references for disease diagnosis, and medical calculator apps were reported as the most useful healthcare apps by clinicians and medical students. Drug reference apps generally include the names of drugs, their indications, dosages, pharmacology, drug-drug interactions, contraindications, cost, and identifying characteristics. These apps can be useful and readily available evidence-based resources at the point of care, for example, during hospital rounds. Disease diagnosis apps are designed to access diagnosis and treatment information conveniently in just a few taps on a mobile device. Digital versions of print medical references for disease diagnosis can be readily available with a search toolbar on any device to help improve the efficiency of diagnosis. These apps can also help clinicians identify appropriate laboratory tests based on symptoms, decreasing the number of unnecessary tests and reducing the cost of care. A medical or clinical calculator app can be used to calculate various clinical scores and indices such as body mass index, body surface area, coronary heart disease risk, and individual drug dosing etc. These processes would usually involve complex formulas using several input parameters. As such, a mobile app offers a convenient and efficient way to calculate a clinical score or index. Mobile apps can be used to simplify communication among clinicians within a healthcare setting. This includes voice calling, video conferencing, text messaging and email messaging. The use of this type of app in a clinical care environment facilitates the quick communication of important information and can help reduce the risk of medical errors. Mobile apps for Hospital Information Systems, such as electronic health records, electronic medical records, and picture archiving and communication systems, provide the flexibility of accessing patient information securely from anywhere at any time. This also includes apps for administrative tasks such as the management of patient information, medication prescribing and billing. Medical professionals in training can harness the power of innovative apps to improve their learning. The mobility of an app can provide students with convenient access to a plethora of clinical resources. Digital versions of medical books, journals, interactive anatomy tools, medical calculators, medical references, and drug references on a mobile app provide flexible learning opportunities for students. For example, a mobile app for trainee doctors can provide a wealth of information at the point of care when attending physicians are not available, thus enhancing patient care. On the other end of the spectrum, there are patient-centred apps capable of performing a wide array of functions. New mobile experiences are evolving patient expectations and the notion of care anytime, anywhere. Currently, healthcare apps can help aid consumers in managing chronic disease, lifestyle management, health education, and even self-diagnosis. The numerous processes and communications in healthcare often leave patients feeling frustrated and confused. Creating the optimal patient experience relies on simplifying the healthcare process and providing patients what they really need. Mobile apps can be used to engage, educate and empower patients through their unique healthcare journey by acknowledging the role patients play in their own health. Increasing patient engagement helps develop a patient’s knowledge, skills and confidence in managing their health. Patient engagement apps can include educational medical content (from prevention to treatment), appointment booking, medication reminders, diary tracking and customized patient portals. Mobile health education technologies present a promising mechanism for improving prevention, treatment, and follow-up. Engaging patients in their care can result in fewer readmissions, healthier lifestyles and better patient outcomes – all of which are cost-saving factors ( Hibbard, 2014). For example, through providing access to care plans, patients and their families can view the procedures and criteria for discharge. This helps alleviate confusion, empowers the patient and their family and improves the patient experience. Mobile apps can help patients with chronic disease track and report symptoms. These types of healthcare apps can improve the continuity of care between patients and providers, encouraging communication and promoting adherence to recommended care plans. App users can also receive disease education, medication information, task notifications, and track their health to better manage their disease. This increases their engagement with their health situation, by tracking their condition and keeping them in touch with their physicians to coach them with the best practices of preventive healthcare. These types of apps have been found to increase a patient’s efficiency in managing chronic diseases such as diabetes, hypertension, atherosclerosis, and chronic obstructive pulmonary disease. Mobile telemedicine services with video capability have now become viable through mobile apps. The implementation of telemedicine and telehealth through apps is a cost-effective solution for the delivery of healthcare to patients with limited access. For example, resource-limited or remotely located patients may benefit from access to specialist care through this technology. Healthcare apps can also benefit patients that require frequent follow-up care or monitoring, such as rehabilitation or post-operative care of patients. Mobile healthcare apps can significantly benefit and enhance how we deliver care. These solutions help drive clinical efficiency, quality care, patient satisfaction and improved clinical outcomes. 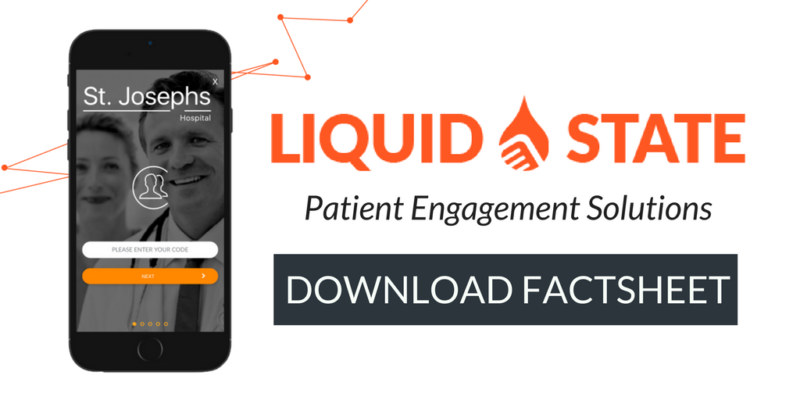 At Liquid State we see the social and economic value in improving the patient experience through patient-facing apps and integrated communications solutions. To find out what Liquid State can do for your Healthcare Organisation get in touch with us today.